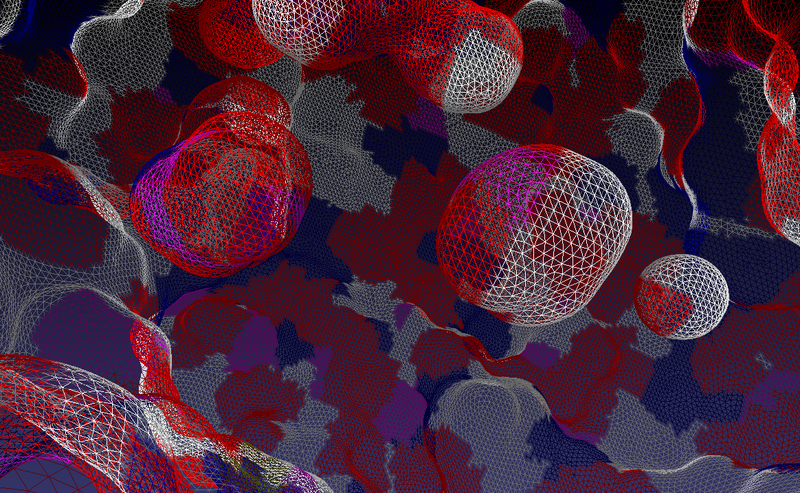 EDTSurf is a open source program to construct triangulated surfaces for macromolecules. 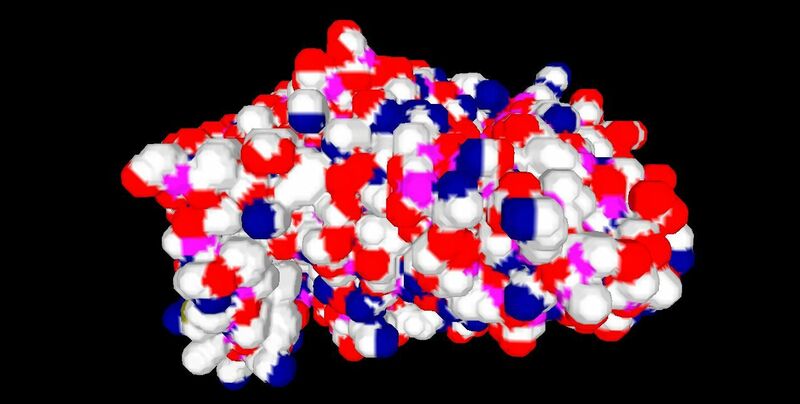 It generates three major macromolecular surfaces: van der Waals surface, solvent-accessible surface and molecular surface (solvent-excluded surface). EDTSurf also identifies cavities which are inside of macromolecules. 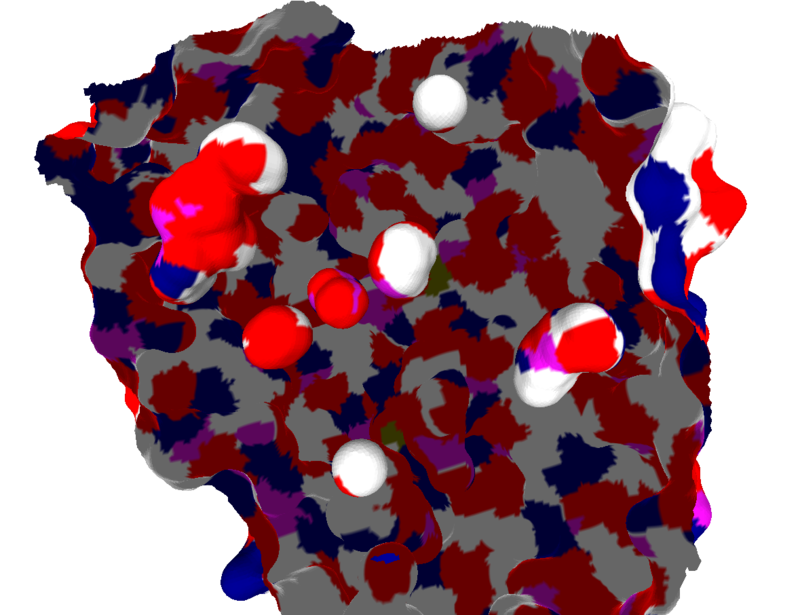 Recently, EDTSurf has been extended to calculate atom depth and residue depth to solvent-accessible surface. 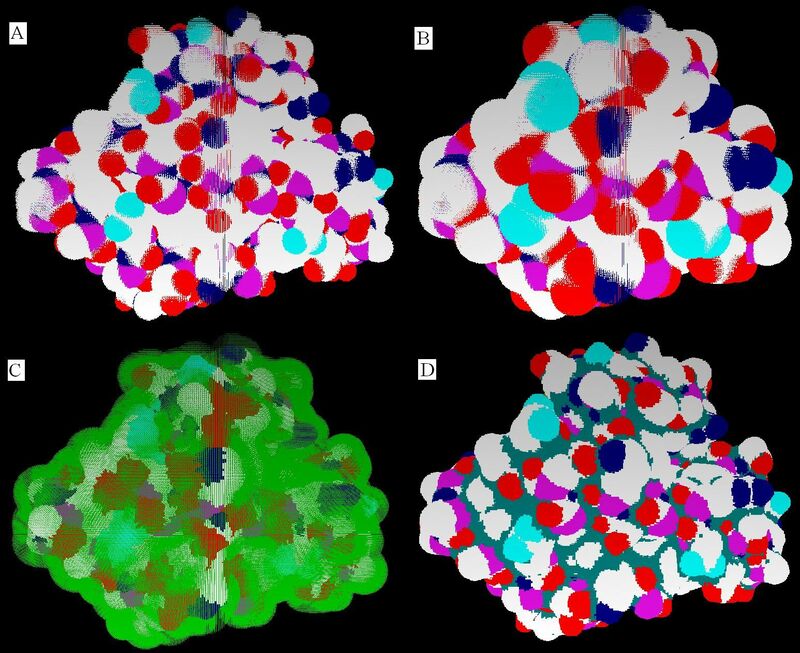 D. Xu, Y. Zhang (2009) Generating Triangulated Macromolecular Surfaces by Euclidean Distance Transform. 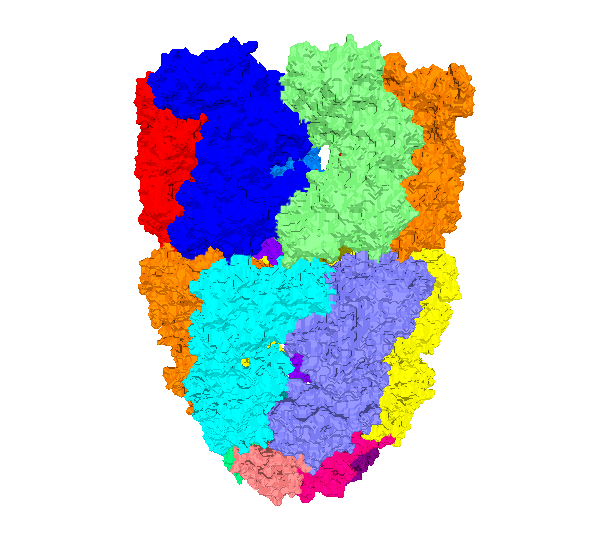 PLoS ONE 4(12): e8140. (download the PDF file). 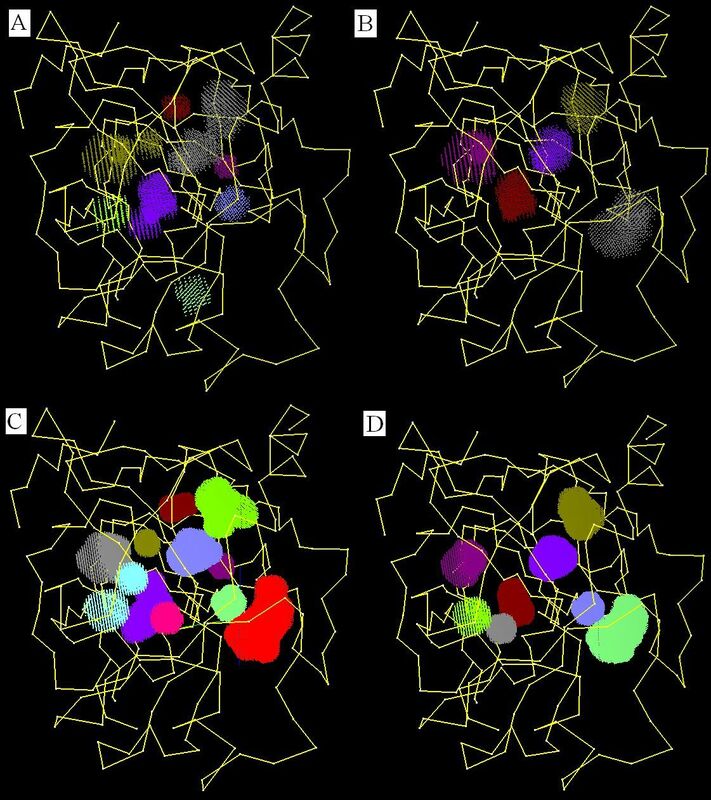 D. Xu, H. Li, Y. Zhang (2013) Protein Depth Calculation and the Use for Improving Accuracy of Protein Fold Recognition. 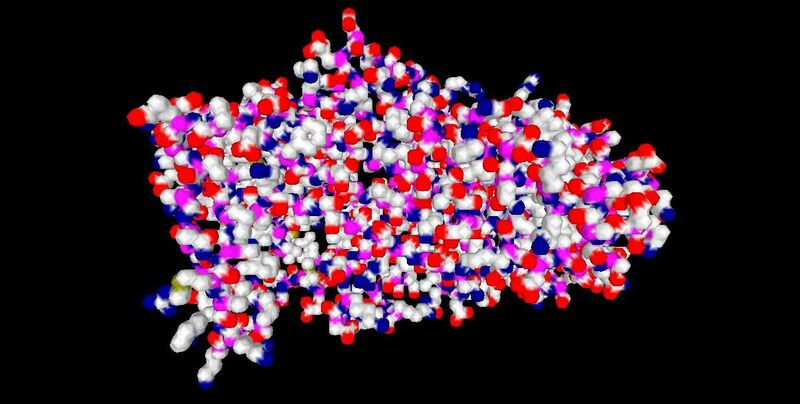 Journal of Computational Biology 20(10):805-816. (download the PDF file). Permission to use, copy, modify, and distribute this program for any purpose, with or without fee, is hereby granted, provided that this copyright notice and the reference information appear in all copies or substantial portions of the Software. It is provided "as is" without express or implied warranty. Molecule is scaled by this factor to fit in a bounding box. Scale factor is the larger the better, but will increase the memory use. 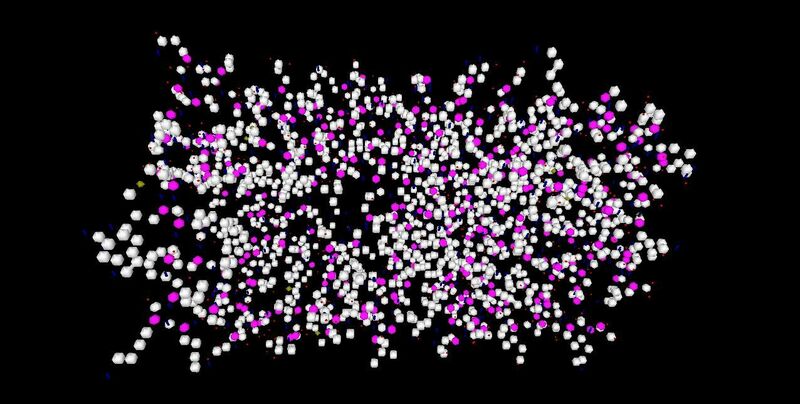 Our strategy is first enlarging the molecule to check if it exceeds the maximum bounding box. If yes, then reset a proper scale factor to fit the molecule in the maximum bounding box. We can output van der Waals surface, solvent-accessible surface and molecular surface in ply format. Each surface can be colored in three different modes-- pure color, color according to atom types and color according to chain types. Our cross-platform visualization system--MVP is under developing now. Most of the images in the paper are generated by MVP, which can show various data during or after certain processings. Ply files also can be viewed by many other open-source softwares freely, such as MeshLab. Here, we give some illustrative figures by MeshLab. We also add one fast postprocessing feature--Laplacian smoothing to the generated surface. Each mesh point is moved to the centroid of the surrounding mesh points which are topologically connected. Here, you can clearly see the correct connections between vertices which form the mesh surface. After cutting some outer surface off, the inner cavities can be clearly seen. 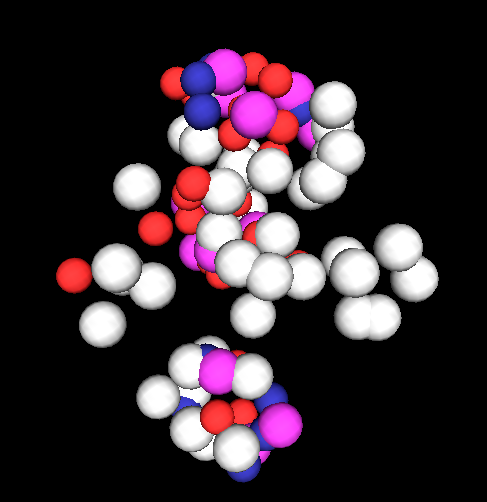 The atoms surrounding each cavity are saved in pdb format, which can be viewed by RasMol. Procedure for molecular solid manipulation. (A) and (B) are van der Waals solid and solvent-accessible solid using space-filling method. (C) is EDT to solvent-accessible solid. 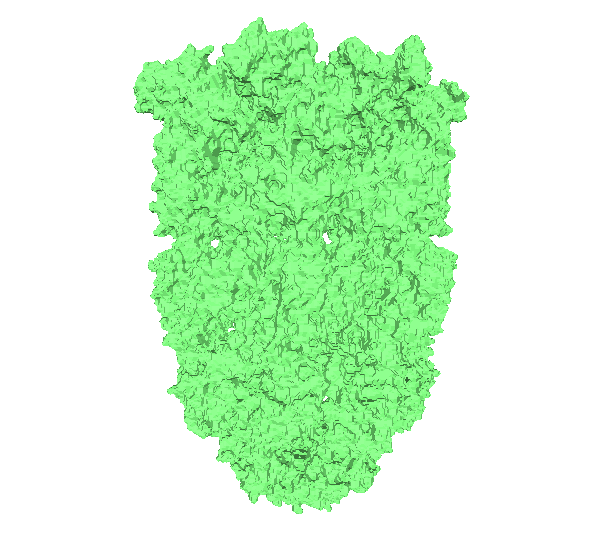 The outer green part is voxels which have Euclidean distance less than probe radius. (D) is molecular solid. Use EDT theory in the paper, VWS and SAS can be obtained after doing EDT to minimal macromolecular surface and VWS separately. Cavity number is related to resolution and probe radius. (A) box length 128, probe radius 1.2 angstrom, 8 cavities; (B) box length 128, probe radius 1.4 angstrom, 5 cavities; (C) box length 256, probe radius 1.2 angstrom, 12 cavities; (D) box length 256, probe radius 1.4 angstrom, 8 cavities. 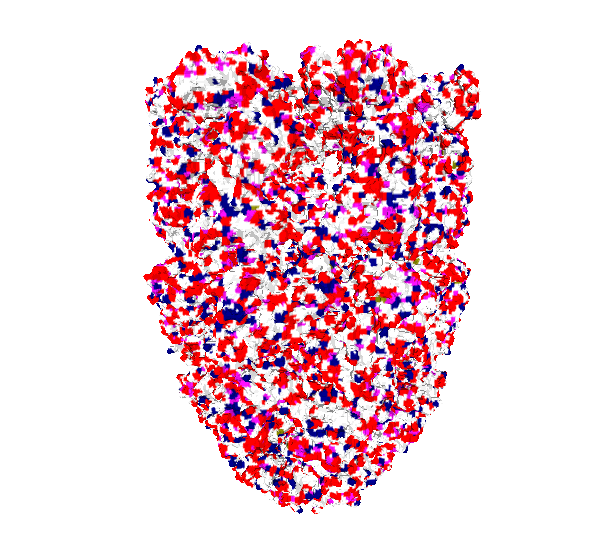 Vertex-connected Marching Cubes can generate triangulated isosurface for Cryo-Electron Microscopy(Cryo-EM) density maps as well.